Telstra and Football Federation Australia have announced a five year mobile rights and sponsorship agreement, with Telstra securing the live mobile rights for football until 2023. Joe Pollard, Telstra’s Group Executive of Media and Chief Marketing Officer, said Telstra was now providing a year-round live mobile sports offering across premier male and female competitions. The My Football Live App will be included in all Telstra mobile plans. Telstra has sub-licensed the mobile rights from Fox Sports, as part of the 2016 rights deal between the FFA and Foxtel. Under the deal, Telstra will create and launch the new “My Football Live App” with live matches available via the Telstra Live Pass for existing Telstra mobile customers. 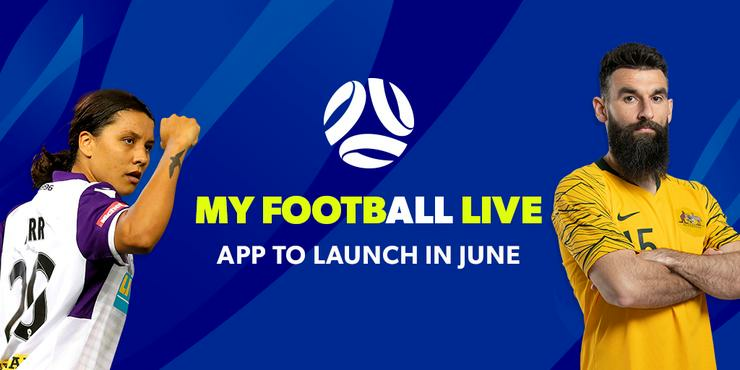 The My Football Live App will be the home of news, information and video for Australian Football on mobile devices and live streaming of the Hyundai A-League and select Westfield W-League, FFA Cup and National Team games. Telstra will also become the exclusive telecommunications partner of the FFA under the deal, and a Technology Partner of all FFA properties including the Hyundai A-League, Caltex Socceroos and Westfield Matilda's. David Gallop, FFA CEO, says that - thanks to the deal - more Australians than ever before would now have access to live football. “We are enhancing the sports experience and shaping the way Australians are consuming sport. Customers now expect always-on ease of access, and deeper engagement with the game through their mobile devices, and we’re seeing strong continued growth of live streaming in 2018,” added Ms Pollard.